We “Jayshree Tablet Science” and our practiced team are unitedly affianced in making, supplying and exporting of Rotary Tablet Press Machine & Pharmaceutical Machinery in Ahmedabad, India. Our companies made products finds the broad way at many ventures resembling Ayurvedic, Candy, Pharmaceutical, Storage Battery, Ceramic Industries and many more. We can mention ourselves as one of the fast ahead Single Rotary Tablet Press, Double Rotary Tablet Manufacturer in Gujarat because we the one who is making these machineries in a very fine way that it can be capable of giving longer functionality than the rival’s one. We stand in the front for making each & every variation of tablet press machines which shape into versatile designs and also accordingly our consumers preferences regarding it. Our experts made each pharmaceutical instrument of Irregular Shapes Tablet Punches & Dies, Mini Tablet Press Machine, Tablet Inspection Machine, and Tablet Compression Tooling are made with the highly developed technical methods and advanced machineries by producing our products as the uncontaminated & tough in nature. We are likewise continuously under proceeds with advancements of innovative up-degree that will give us great accomplishment in coming future and give us the capacity to make any formed devices for any enterprises. Our all sorts of Tablet Press Machineries & equipments are much adopted by large group of numerous consumers from the each corners of India and as well from the abroad industries. 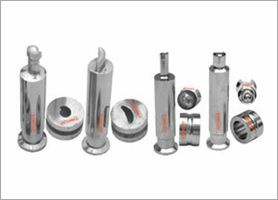 We used to recommend tablet press tooling’s of different shapes like Square, Round, Capsules, Oval and a lot more shapes according to request by client for diverse pressure machines according to their requisites. Not only in pharmaceuticals filed, also from various fields, have clients asked for our branded equipments tools for its unique designs and efficient functionalities. Additionally, our firm makes lead position for making the ideal quality of the products which is perfect in every angles and determinations. Rotary Tablet Press is a mechanical gadget that not at all like the single punch tablet press has a few tooling station which pivots to pack granules or powder blend into tablets of identical size, shape and consistent weight. It was produced to expand the productivity of tablets. This press can be utilized to make tablets of a wide assortment of materials, including pharmaceuticals, cleaning items, and beautifying agents. 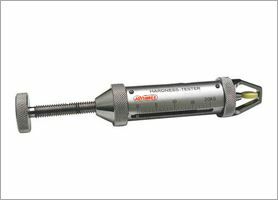 As we are expert in giving the best customer desired products to them also much well developed in giving of 100% entire qualitative Tablet Compression Tooling & Pharmaceutical Machinery. We trust in providing the correctly built and proper quality so our customers as well have trust on us and in our made machineries. With the help of modernized manufacturing unit, machineries and equipments and the most important one that is our finely practiced employees, we are suitable to make this items with etched in your mind and extraordinary quality of our rotary tablet press machines. 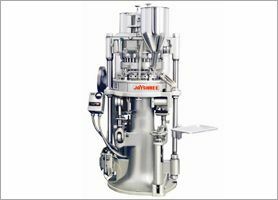 We were not only broadly famed as the maker of Pharmaceutical Dosing & Filling Machine in India although, one of the greatly known firm in Gujarat for supplying their market demanded Rotary Tablet Press Machineries in an equitable price ranges. We stand behind the competitors as we the one who is distributing our qualitative Tablet Press machine to the customers in a lenient price than the market rivals. Well, it’s not an easy task to offer the complete quality & unmistakable product plus reasonable cost, but we succeeded in this as we are doing this from many years so we are capable to provide them in an additional benefactress. Phase-I, Vatwa GIDC, Ahmedabad - 382 445, Gujrat, India.